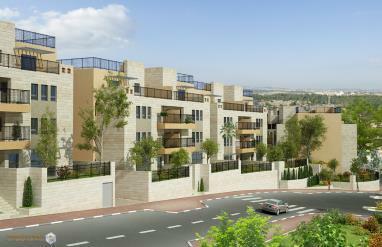 Following the success of the project in the 'Buchman' neighborhood, B Yair intends to build another project, in the youngest city in Israel – Modi'in – and this time, in the 'Tzipor' neighborhood. The neighborhood is planned with highly developed and advanced infrastructures, and is, of course, planned to include preschool and educational institution structures as well. The project will include 14 buildings, of up to 8 apartments per building, including 3 room apartments and 5/6 room duplexes, with a garden and a storeroom. The small apartments (52 apartments) are designated for those eligible. A lottery will be conducted by the Ministry of Housing, among those who registered.